Jingle Bowl With The Bone For Charity! Join us – Dennis Hof, Krissy Summers, Air Force Amy and Aubree Rae at the Lamont, Tonelli, Baby Huey, Chasta, Steven Seaweed and Tim Jeffreys from FM Radio 107.7 “The Bone” – The #1 and most popular Bay Area radio show of all time! Jingle Bowl with The Bone! 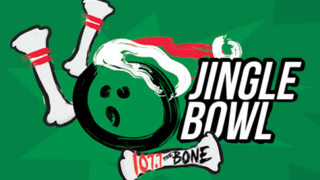 107.7 The Bone presents the inaugural Jingle Bowl – a charity event to benefit the Los Bomberos Firefighters Toy Drive in San Jose! 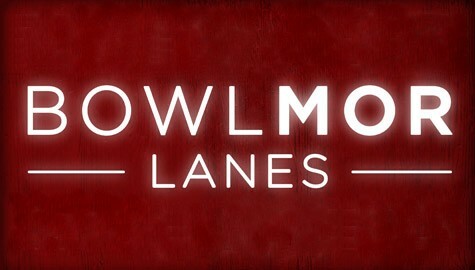 We’re taking over Bowlmor Lanes in San Jose for an afternoon of bowling and fun. Hang out with Lamont, Tonelli, Baby Huey, Chasta, Steven Seaweed and Amy Tim Jeffreys – all for a great cause! We’ll be there from 12pm – 4pm with the 49ers @ Seattle game on the big screens. Get a team of six ready! Your team registration includes a custom event bowling shirt Week for each team member (six), two games per person (with shoes) and the satisfaction of knowing you’re helping many needy South Bay families this holiday season. Check-in @ 12noon, and bowling begins @ 1pm. Click here to purchase a team of six! Please note: the deadline to have your shirt printed in time for Jingle Bowl is Wednesday, December 3rd! If you register a team after that date, you will receive your shirts after the event. Thank you – it’s time to roll! Bowlmor Lanes is elegant entertainment at its finest—perfect for teambuilding, product launches, and off-sites that are one-of-a-kind. And for those who dare to bowl on the wild side, there’s Bowlero—an electrifying mix of modern sport, vintage style, and down-home culinary imagination. Bowlero is our latest spin on bowling and social entertainment—an interactive playscape that brings you back in time with blacklight bowling, nostalgic games, retro-modern décor, and an over-the-top menu that one must taste to believe. Bowlero is the unexpected option for event planners—one that will make you forget everything you thought you knew about bowling and nightlife. With Bowlmor AMF, finding the perfect venue—and planning the perfect event—has never been easier or more convenient.